← QUICK SWEEPSTAKE: I’M FLYING! OMG! 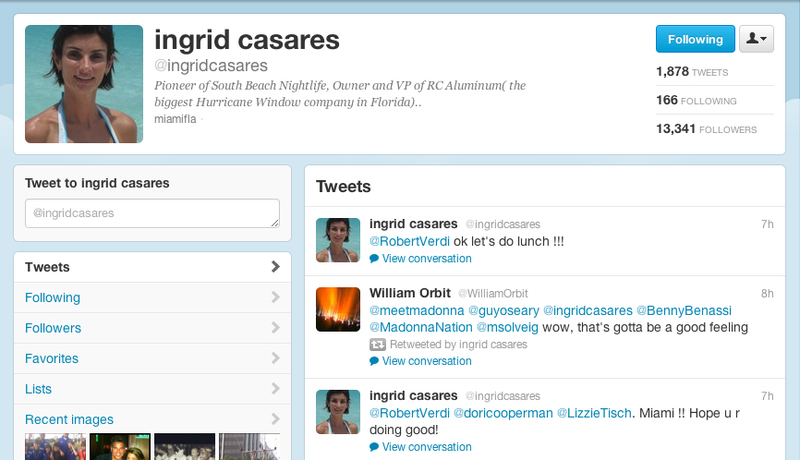 William Orbit replied and retwitted me (and Ingrid him)! Today I woke up and got speechless checking my mailbox. William Orbit, the magical, the producer of my favorite album of Madonna, Ray of Light, and also producer of MDNA, replied me and retwitted me! People, William is simply the King of production. He is sensitive, clever and makes me get high without any extra addiction of drug. Afterwards, my wild cat, Ingrid Casares, who is already supporting my campaign, retwitted William! 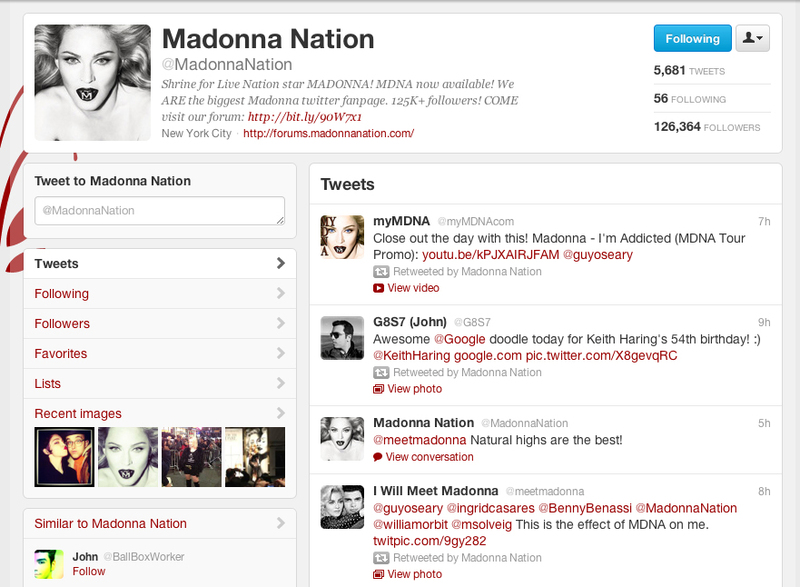 Finally, Madonna Nation, one of the biggest Madonna’s Twitter Community, with 123,369 followers, also retwitted me and replied me! This entry was posted in Support, Video and tagged Guy Oseary, I Will Meet Madonna, Ingrid Casares, Liz Rosemberg, Madonna, Madonna Nation, MDNA, Miaura, Ray of Light, twitter, William Orbit. Bookmark the permalink. 1 Response to OMG! 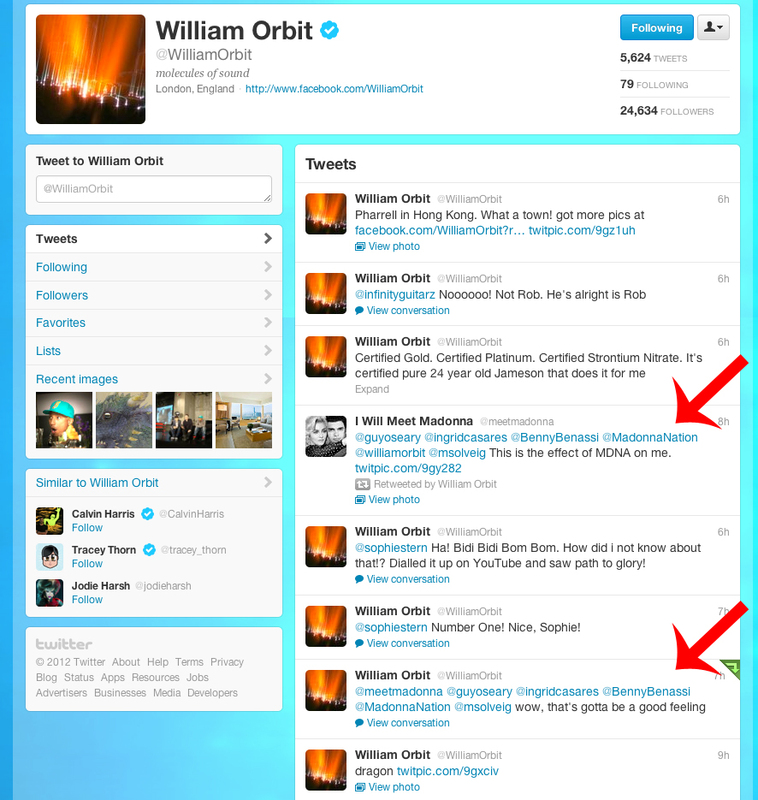 William Orbit replied and retwitted me (and Ingrid him)! Ingrid is nothing but old Madonna’s dog. She is yesterday’s news. Madonna’s husband couldn’t stand having Ingrid around. He thought she was a leech.